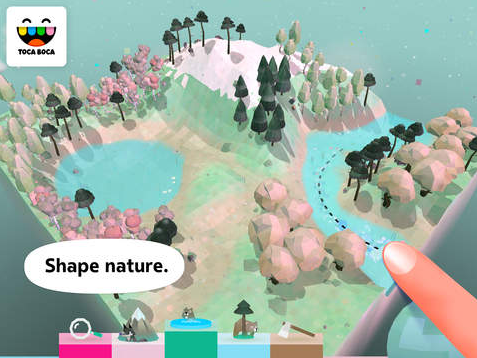 This beautiful open ended nature play app is Apple’s Free App of the Week. Designed for kids 6-8 but fun for younger kids as well, this app enables them to design their own little world of nature and animals. They are presented with a plain piece of land to which they can add mountains, water and five types of tree. The trees provide habitats for different animals. They can spin the globe in the corner to look at the land from different angles or tap the magnifying glass to get to ground level and stroll around to explore. 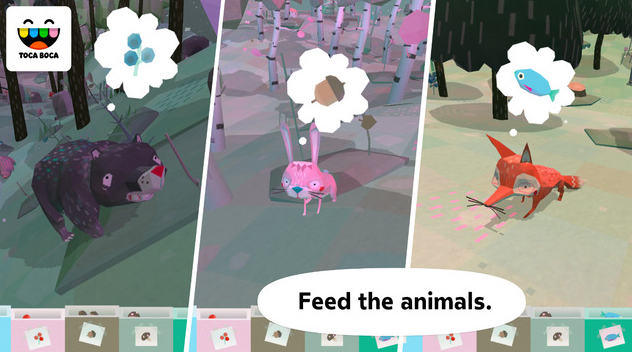 There are five containers of food at the bottom of the screen which they can fill up by tapping similar items when they appear during their walk. These can then be used to feed the animals once the kids work out which animal eats what. The animals grow when given food. It’s a wonderfully relaxing and creative experience and like other Toca Boca apps, it has no prizes, rewards or feed back other than the reward of creating for it’s own enjoyment. This is the best type of app to encourage intrinsic motivation, rather than reward oriented motivation. 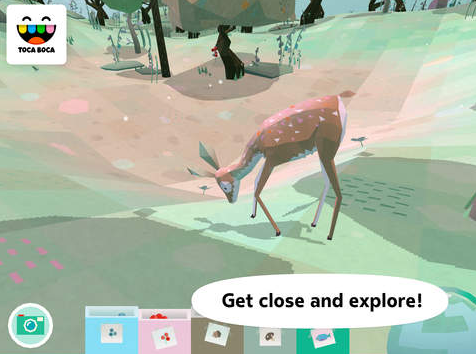 The soundtrack is gentle nature sound and music. Highly recommended and FREE this week!